Our TEI of Thessaly partners from Greece have presented a communication entitled “The development of Critical Thinking in Nursing Education” at the “Public Institute of Vocational Training of State Mental Hospital of Attica ‘Daphne’” Conference. 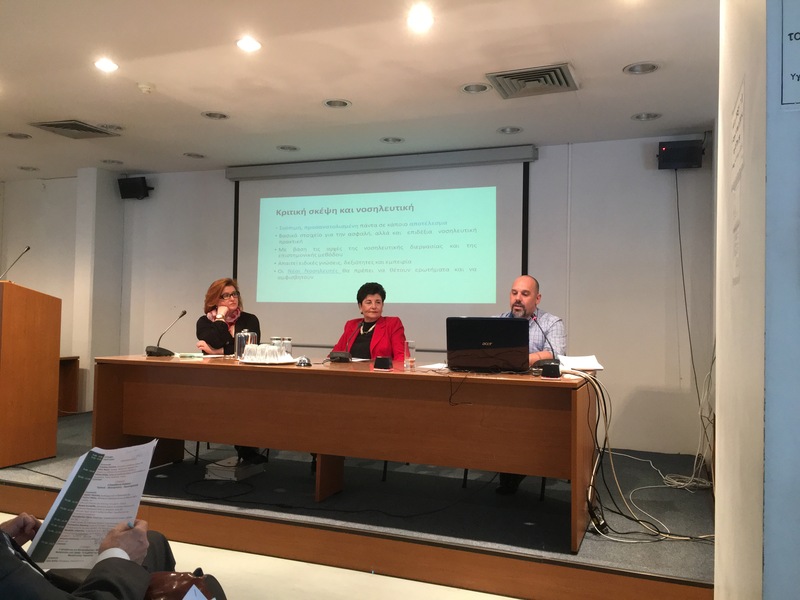 The conference was hosted by the State Mental Hospital of Attica “Daphne”, Athens, Greece, last 30th March 2017, on the topic of “Transition from Secondary Education to Adult Education”. You can see the full presentation at https://goo.gl/ZzCFeT (only available in Greek).